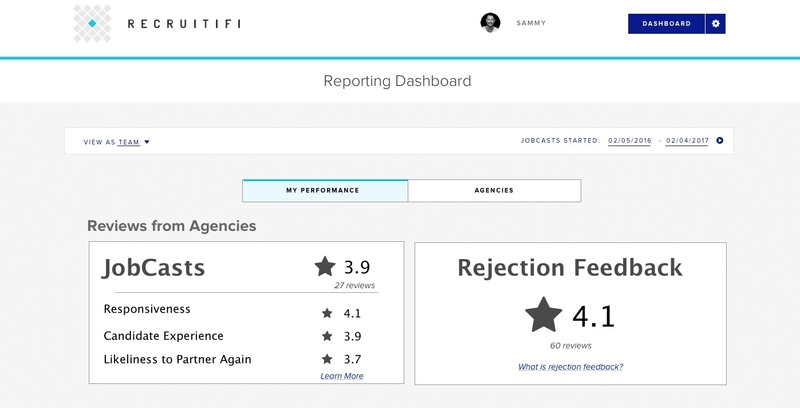 Your personal scores can be found on the your reporting dashboard, and are visible to your Team Administrators. JobCast ratings are collected after a Jobcast is closed. Rejection feedback is collected each time a candidate is rejected. 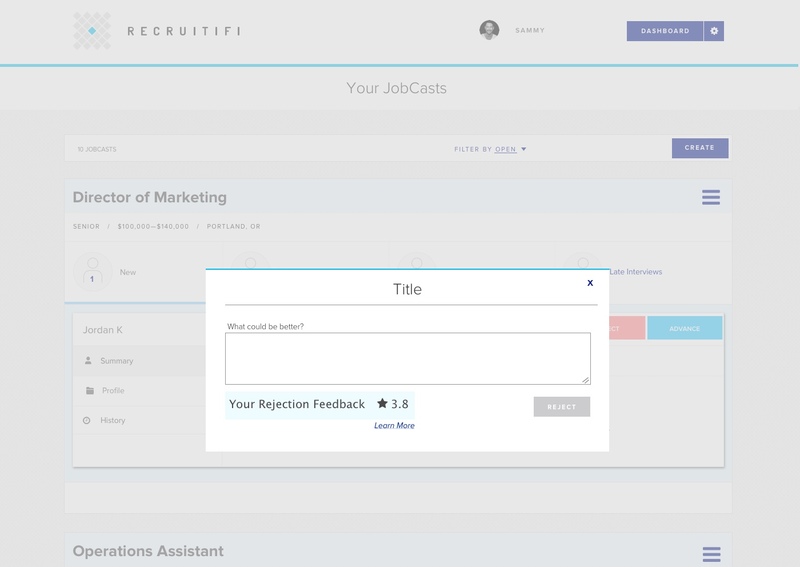 Specific feedback that helps the recruiter on their search will receive higher scores. On the other end of your JobCasts are real people, doing real work, in real time. Therefore every action, or non-action, is scored by agencies goes into your score calculation. Provide helpful, timely information to receive high marks. Conversely, generic and delayed information that does not help an agency find a better candidate will generally result in low scores. You are either helping or hurting your score. Employers who have less than 3 reviews will see an N/A where the score would appear. After 3 reviews, your score will be calculated. Learn more about the agency recruiter rating process here. Tags: Feedback, ratings, score, calculated, reviews, review, improving your score, rejection feedback.